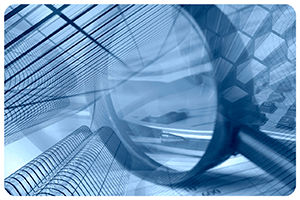 At Lateo Surveillance Ltd our employee workplace fraud investigation team has been intimately involved in many high-profile cases across the UK. 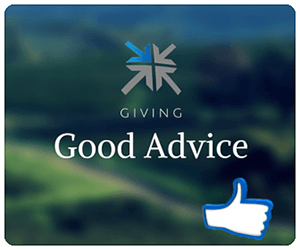 Initial advice and guidance – ensuring full compliance with current legislation, including the regulation of investigatory powers act 2000, the human rights act 1998 and the data protection act 1998. Formulation of numerous strategies to counter workplace fraud. Patience – Don’t jump in with two feet! There is always a huge temptation to go in ‘guns blazing’ when senior management is presented with or obtain information relating to possible fraud in the workplace. Circle of knowledge – Immediate closedown! The circle of knowledge is the main factor why the majority of workplace investigations fail. The circle ‘MUST’ be kept as small as possible, unfortunately, fraud happens in most organisations; large and small! from the theft of stationary to embezzlement it’s normally… scale ‘v’ severity. We have identified some organisations have developed a culture of what many see as acceptable theft or ‘perks of the job’ hence the moment an investigation is suspected the ‘shutters come down’ ranks are closed and word travels.. lightening fast! Diligence – Understand your responsibilities! Compliance with current legislation is an absolutely crucial part of the investigation. If you or your investigator has strayed or ‘jumped’ across the line… you could end up in serious trouble with the Information Commissioners Office. If your instruct a private investigator ‘YOU’ as the ‘data controller’ are ultimately responsible. Your investigator should be able to explain ‘in detail’ what is and is not acceptable and propionate. Proportionality – Don’t use a hammer to crack an egg! Every employer / business owner has the right to protect themselves, their business and its assets. The monitoring of staff using covert CCTV cameras must be taken seriously and it MUST always be ‘proportionate’ e.g. placing a covert camera in an office with the intention of catching someone stealing a paperclip, would very likely be deemed ‘not proportionate’ however if large volumes of paperclips from a warehouse were being stolen then it would very likely be classed as proportionate. Workplace investigations are always carried out in a specified time frame and not carried out for any other purpose than what was originally intended. Many investigations have fallen at the final hurdle after it came to light the information or ‘DATA’ was obtained illegally, or, it was not handled in conjunction with the rules of the data protection act. Organisations should not expect their HR manager to intimately understand the process of an employee workplace fraud investigation or instructing a private investigator and should not be allowed to run on an autonomous basis; unless of course they are experienced. Using an endorsed private investigator who is a member of the Association of British Investigators which is the ‘only’ private investigation body endorsed by the Law Society of England & Wales will help you comply with your data controller responsibilities. Compliance is always the key to a successful employee workplace fraud investigation, forcing yourself through the relatively simple thought process will ensure your ‘bases are covered’ and those who cross the line can be removed with no fear of litigation against you. 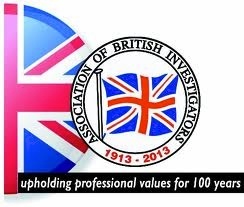 The principal investigator of Lateo Surveillance Ltd is a full member of The Association of British Investigators endorsed by the L Thank you for reading our latest post; Key factors to a successful employee workplace fraud investigation. See more related posts employees stealing time.